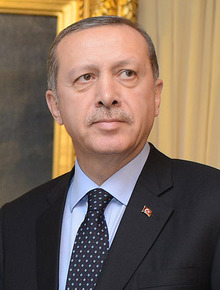 ISTANBUL (AA) – The Armenian issue is being used to blackmail Turkey around the world, Turkish president has said. Addressing a press conference in Istanbul Saturday, Turkish President Recep Tayyip Erdogan said western countries were just using the Armenian issue as a tool to malign Turkey. "I know in my heart that the main point is not Armenians. They are just being manipulated. The Armenian issue is just blackmail against Turkey around the world," Erdogan said. "I want to let the world know: like it or not, we will never accept the 'genocide' accusation," he added. He invited German politicians to jointly open the archives to settle the question about Armenian killings during 1915. "If available, you can also open your archives. Come and let us make a decision." But, he said, the German politicians would not dare do such a thing "because when you attempt something like this, you know you are going to be disgraced." According to the Turkish president, Turkey had nothing to be ashamed of in its history. "I emphasize one more time. We have nothing in our past to be ashamed of, but those countries that often accuse Turkey of 'Armenian genocide' have the blood of millions of innocent victims." Erdogan said Germany should be the last country to speak about the so called 'Armenian genocide'. "They [Germans] should firstly define the meaning of Holocaust again. They should review the Namibia Holocaust," he said. The Namibia Holocaust is considered one of the first genocides of the last century, which was carried out against the Heroro and Nama peoples in southwest Africa by the then German empire. He called on Germany and Europe to be fair in resolving all issues with Turkey. "Either we will fairly resolve issues at our agenda or Turkey will get out of being a barrier in front of Europe's challenges and we will leave you on your own with your ordeals," he said. "What we want is that Turkey be fairly treated, not be applied double standards and rules, which are valid for everyone, be valid for us as well," Erdogan said. He clarified that Turkey did not have any enmity with Europe. "In fact, we do not have any problem with EU and European countries. It is not possible to feel an enmity for a geography where about our five million brothers of Turkish origins or citizens live. "Just as we are a part of Europe geographically, we also see Europe as a part of us," Erdogan said. Turkey denies the alleged Armenian “genocide”, but acknowledges that there were casualties on both sides during the events taking place during World War I.